We describe recent progress with a formulation of the Einstein equations on constant mean curvature surfaces extending to future null infinity. 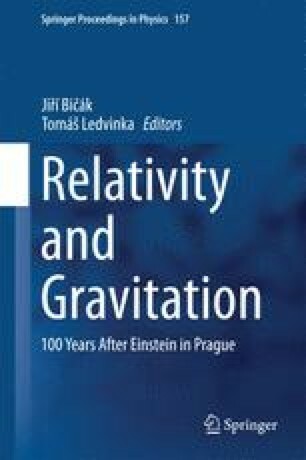 Long-time stable numerical evolutions of an axisymmetric gravitationally perturbed Schwarzschild black hole have been obtained. Here we show how matter can be included in our formulation. We study late-time tails for the spherically symmetric Einstein–Yang–Mills equations both for initial data that disperse and that collapse to a black hole. O.R. gratefully acknowledges support from the German Research Foundation through a Heisenberg Fellowship and research grant RI 2246/2. V.M. was supported by NSF grant PHY-0963869 to Yale University.